Yong Pal is a medical romance drama that centers around how a talented mercenary doctor known as Yong Pal ends up helping a ‘sleeping beauty’ chaebol heiress in distress, and thereby changing both of their lives forever. The drama takes place at a hospital full of corrupt, power hungry people that our heroes must navigate around to save themselves. 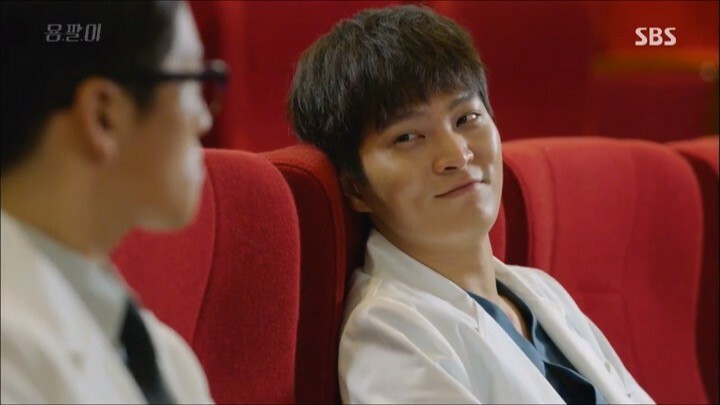 While it may sound like Yong Pal relies heavily on the medical aspect, the drama is actually more of a melodrama, with accompanying romance and action scenes to spice things up. The early episodes of Yong Pal seemed quite promising with a thrilling storyline and gripping action sequences that kept me engaged. The actors also do a great job in portraying the enigmatic yet endearing lead characters. But unfortunately, things went south halfway through, where a rushed romance and inconsistent character development brought Yong Pal to an unsatisfactory closure. The first three episodes of Yong Pal do a good job of introducing us to its characters and plot at a well-balanced pace. They entice the viewer with just enough action and drama to stay interested in the underlying revenge theme without spilling all of the beans. First, we meet our hero Kim Tae Hyun (Joo Won), better known as his code name, Yong Pal. He’s a skilled surgeon at the prestigious Hanshin Medical Center by day and an illegal on-call doctor at night who fixes up criminals in exchange for money. Yong Pal works diligently in order to pay back money borrowed for his sick sister from the loan sharks. 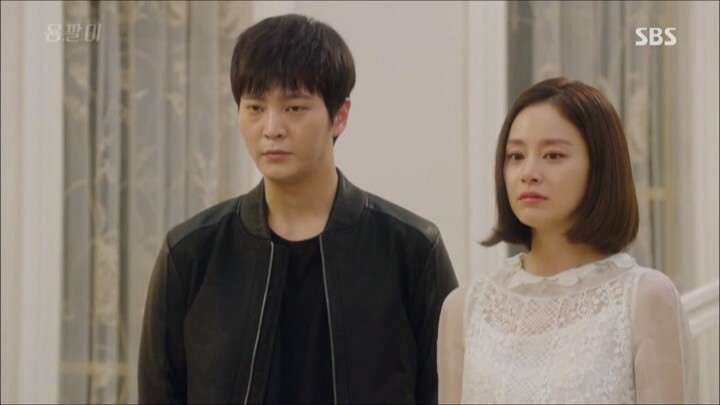 Despite his questionable methods, the drama provides Yong Pal with the perfect excuse for sympathy and sets him up as a kind hearted person. He wants to help those around him, even risking his job to operate on a woman that other doctors have given up on. The heroine of the drama however, isn’t nearly as active, seeing that she’s currently in a coma. 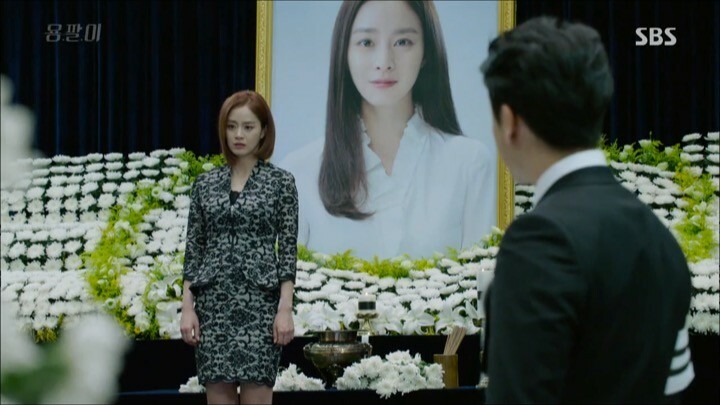 Han Yeo Jin (Kim Tae Hee), the heiress of Hanshin Medical Center seems to be suffering from a lot of emotional pain. She regains consciousness for a brief moment and immediately attempts suicide because she no longer wants to stay in the coma. She is rushed to the emergency room where she inadvertently spots Tae Hyun, who is covertly operating on another patient. Even though they don’t say a word to each other, their eyes convey deep emotions. I like the first encounter between the two because it’s unexpected, rushed and secretive, building anticipation for what’s going to happen next. The drama also reveals Yeo Jin’s primary enemies early on. 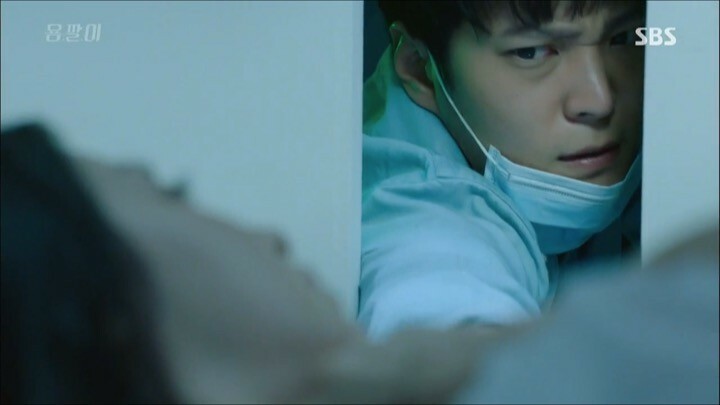 The antagonist is none other than her half-brother Han Do Joon (Jo Hyun Jae), who has been medically inducing Yeo Jin’s coma and plans to get rid of her so he can take over the hospital. Do Joon seems to be always scheming and is clearly not to be trusted. 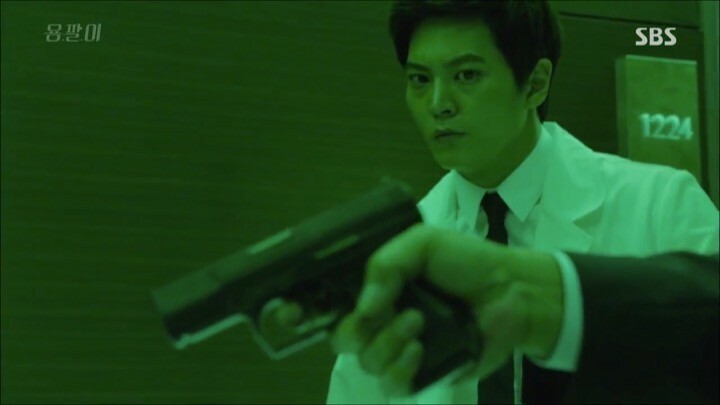 Despite the overused sibling rivalry over family business plot line, Yong Pal did manage to capture my interest. It made Tae Hyun into a very likable character that I want to root for because he always wants to do good. Though I haven’t seen enough of Yeo Jin yet to make a judgment of her character, I’m extremely curious to see when she’ll officially meet Tae Hyun, and how she’ll be saved from her brother. Yong Pal keeps up the great pace and writing here with situations that present some real character depth and development. Tae Hyun gets roped in on Yeo Jin’s situation by his colleague and begins to use her room to take private calls with the loan sharks. 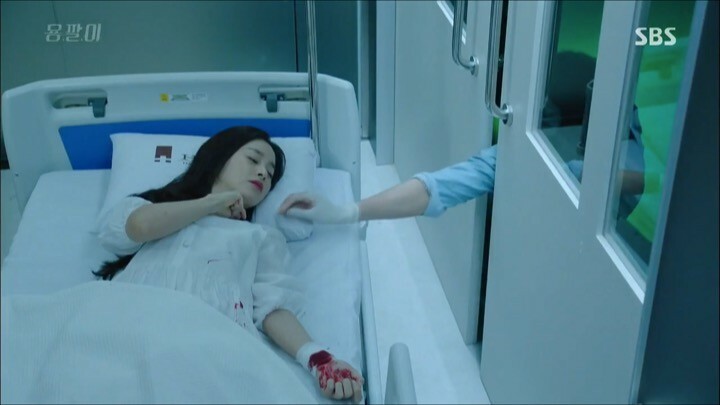 Little does he realize that Yeo Jin has cleverly knotted her IV, stopping it from putting her back into coma, and has been listening to his conversations. At last, our heroes officially meet. Yeo Jin briefly wakes up to offer Tae Hyun the money he needs to save his sister in exchange for his alliance. Tae Hyun agrees and together they begin their plans to get Yeo Jin out of the hospital. I find Tae Hyun a great character because he wants to save both his sister and Yeo Jin, and is working to do both. He has a lot on his mind right now, but he doesn’t let that weigh him down, and puts others first. Yeo Jin, who has put on some tough skin from what she’s gone through finds her first genuine ally in Tae Hyun. So naturally, it’s easy for them to build a connection. They share a moment of vulnerability as Yeo Jin cries about wanting to eat her mom’s cooking. Tae Hyun shares that sentiment, having lost his mother as well. Although Yeo Jin is constantly on guard from having had so many people betray her, Tae Hyun sincerely wants to be her friend and help her out of this situation. Personally, I can’t wait to see how this comradeship develops into a romance eventually. It’d be best if the love line came about slowly and casually though, seeing that our couple has other more important priorities. I find Tae Hyun a likable character because he puts others first. Another character being brought more to the spotlight is Do Joon’s wife Lee Chae Young (Chae Jung An). She’s been playing dumb this whole time, but is in fact plotting against Do Joon. She despises her husband just as much as Yeo Jin does, but instead of work together, Chae Young wants to use Yeo Jin for her own personal gain as well. It would have been nice if Chae Young were part of the alliance with Yeo Jin and Tae Hyun, but then the drama would move too fast for my liking. Regardless, it’ll be interesting to see how Chae Young’s plans factor into the mix. Yeo Jin’s big escape takes place during these episodes and they’re filled with such breathtaking action and intensity that it’s hard to turn away from the screen. It does seem a bit rushed that all this would take place so quickly since Yeo Jin and Tae Hyun’s recent alliance, but nonetheless, the drama pulls it off stunningly. Tae Hyun quickly becomes Yeo Jin’s eyes and ears and learns about Do Joon’s evil plans of murdering Yeo Jin. While Do Joon is busy carrying out his plans, Chae Young and other ambitious individuals also try to seize the opportunity to claim Yeo Jin for themselves. The breathtaking action makes it hard to turn away from the screen. Amidst the fierce and nerve-wrecking battle over Yeo Jin, Do Joon nearly gets his wish if it weren’t for Tae Hyun’s brilliant interceptions and mastery surgical skills. 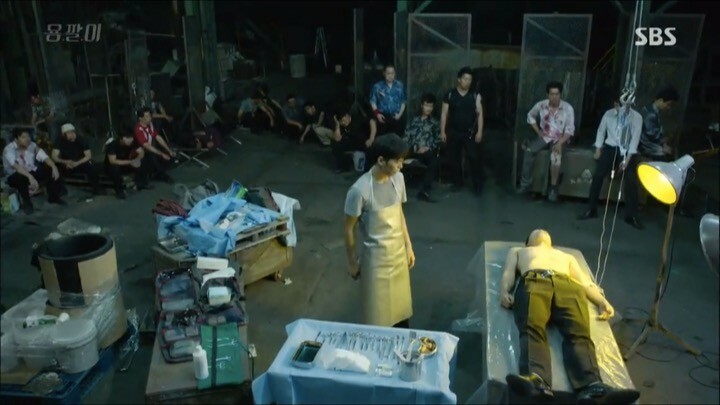 With the help of a chaotic situation and a few friend of his at the hospital, Tae Hyun manages to disguise Yeo Jin as another patient and successfully fakes her death. This leads Do Joon and everyone else vying for a piece of the pie to believe that Yeo Jin has indeed passed away. As a result, the power struggle between Chae Young and Do Joon also heats up after Yeo Jin’s supposed death. I look forward to seeing how Yeo Jin will manipulate this situation into her favor after the escape and ultimately carry out her revenge on Do Joon. These next few episodes actually put Yong Pal in a slump particularly in contrast with the great pacing and character building we’ve seen so far. Not only is the love line between our heroes accelerated to the likes of speed dating, their personas also become incoherent on many occasions. In one case, Do Joon makes a power play and bribes Tae Hyun with sending his sister to the U.S. to get treated. Tae Hyun surprisingly takes the deal, which I thought was out of character as he seemed to care too much about his sister to leave her fending for herself. But apparently he’s just going to trust the devious Do Joon for now — it makes no sense. Later, Tae Hyun brings Yeo Jin out of the hospital to stay at a church for her physical rehab. He tells her he’s jealous over her dead ex-boyfriend and they share a kiss. I find this intimate affection entirely out of the blue and rather awkward. Sure, they may have been creating a special bond up to now, but there were little hints of them falling in love and Yeo Jin is still trying to get over the death of her ex-boyfriend. This is immediately followed by Tae Hyun and Yeo Jin doing a bunch of cute stuff together like playing with kids or kissing on a hill. At one point, they even talk about moving in together and getting married so Tae Hyun will become Yeo Jin’s legal guardian instead of Do Joon. The rapid progress of their relationship ruins the tempo of the drama and frankly feels forced. While the drama continues to rush through Tae Hyun and Yeo Jin’s relationship, it also starts to conveniently shift power and control back to Yeo Jin. 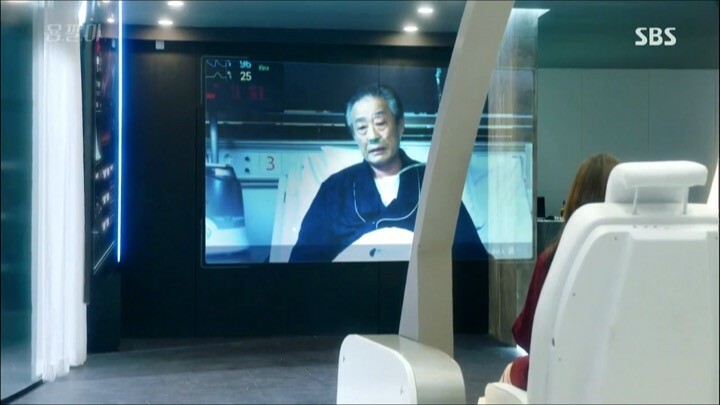 With a random stroke of luck, Yeo Jin learns that her father left her a video and evidence of illegal slush funds that she can use to take down Do Joon. This sudden revelation is a bit expository and too opportunistic. I would have preferred to have Yeo Jin uncover the evidence on her own. Yeo Jin’s next moves are bold and a little reckless. She sneaks back into the hospital, as it’s important to see what Do Joon is planning. Yeo Jin assures Tae Hyun that she has a plan, but I wish she would have discussed it with him first rather than acting on her own. It nearly renders Tae Hyun’s efforts in risking his life to help her escape the hospital pointless. Nonetheless, Yeo Jin now has the upper-hand and I look forward to seeing how she’s going to fight for herself. 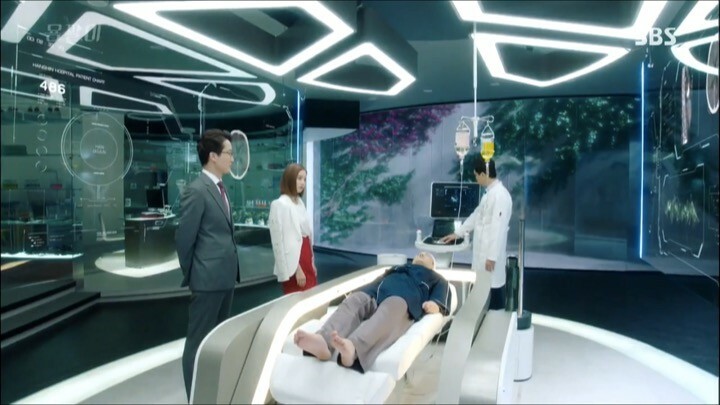 Yong Pal picks up slightly as Yeo Jin and Tae Hyun fight their way to return Yeo Jin as the rightful heir to the hospital. However, my enthusiasm from the drama’s thrilling actions continue to be weakened by the unbelievably fast and furious relationship between Tae Hyun and Yeo Jin. The drama also seems to be trying too hard to elongate the story with a number of illogical developments in the plot that detract its integrity. Yeo Jin shows up at her funeral planned by Do Joon, ready to take over her brother’s reign with evidence of his corruption in hand. Tae Hyun is supposed to meet up with her with the marriage certificate, but gets caught by the police for his identity as Yong Pal right as he’s filling out paper works. The drama builds up exciting tension around whether or not Tae Hyun will make it on time to save Yeo Jin. My enthusiasm is weakened by the unbelievably fast and furious relationship development. On the relationship front, our leading couple move into Yeo Jin’s family’s house and discuss their wedding. I can’t stop thinking about how they’ve only just met, and now they’re getting married and living together. The relationship hasn’t even had time to grow because Yeo Jin’s been busy planning her revenge. This is a shame because the first few episodes had such impact and I was looking forward to watching our heroes slowly fall in love. Through Do Joon’s many connections, he recovers from Yeo Jin’s attack and begins to reconcile his relationship with Chae Yong in hopes of teaming up with her. I don’t understand Chae Young’s character, seeing as she’s trapped in a loveless marriage with a man who’s done nothing but threaten her, yet she still goes back to him. I’m curious to see what they have planned, but not expecting much because it seems like a last ditch effort on their part used to prolong the drama rather than help wrap it up more cleanly. 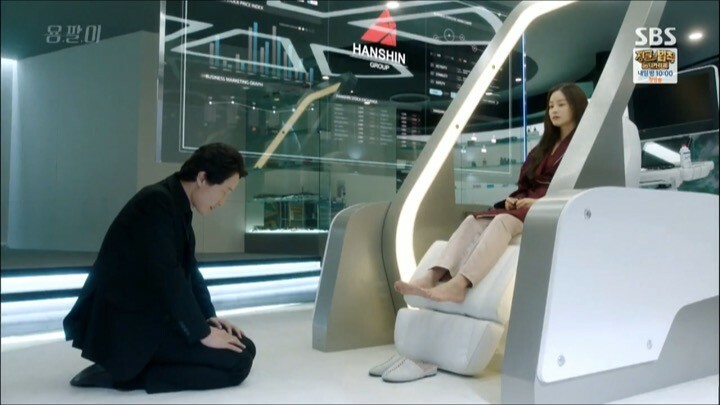 After reclaiming her throne, Yeo Jin’s character regrettably changes to be more unlikable. Her rule over higher-ups and the people who’ve wronged her is no different than her brother, which is out of character and spoils the drama for me. I understand she’s angry and wants revenge, but the sharp transition of her attitude seems too drastic to be believable. The ending is a mess of more predictable revenge schemes and unnecessarily over-the-top drama just to extend the show longer. I find myself watching Yong Pal out of habit rather than enjoyment now. Yeo Jin gives up Do Joon to another chairman who wants revenge on him, and Tae Hyun begins to question her motives. She’s sweet and loving when she’s with him, but turns ruthless when it involves the hospital. Yeo Jin’s character grew more frustrating to watch along with the plot of the drama. It’s already far-fetched that everything’s going so wrong and even more ridiculous when the drama made Yeo Jin develop cancer. Yet even then, I have little sympathy for her, not when Tae Hyun decides to leave her or when she’s fighting cancer. 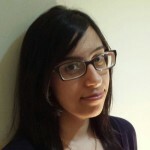 The drama’s poor writing managed to turn a relatable heroine into an unpleasant witch. 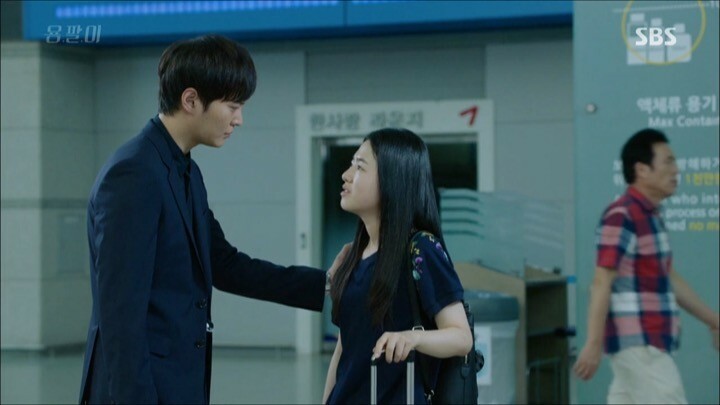 Yong Pal starts out like a rising star with an intriguing story and likable characters. But due to a rushed romance, inconsistent character progression, and outrageous plot lines midway through the end, it ends up being a shooting star that hastily falls out of the sky and burns all the goodness into ashes. Unfortunately, I have to agree with the OP. The drama started out great but it really go downhill as the plot progress. I seriously confuse how the plot can tank that low with underwhelming bad guys and questionable storyline. And not to mention the medical parts of the drama was soooo outrageous — the writer should have made effort to ask a real doctor’s opinion on all the medical aspect of the drama. And the product placements of the drama is one of the funniest I have ever seen. I’m a huuuuge Joowon’s fan but I’m terribly disappointed. And he didnt deserve the Daesang that he won. Kim Rae Won deserve it more.